It is estimated by the Federal Railroad Administration that an accident involving a train occurs every 90 minutes in the United States. With the extensive amount of tracks running through Missouri, it can be expected that some of these accidents will take place in our state. It has been found that most railroad crossing accidents could have been avoided if proper measures had been taken by the train company. If you were injured or lost a loved one in a railroad crossing accident, speak with a Missouri personal injury attorney from The Hoffmann Law Firm, L.L.C. More than half of public crossings are not protected by safety lights and gates and over half of all train accidents occur at these spots. 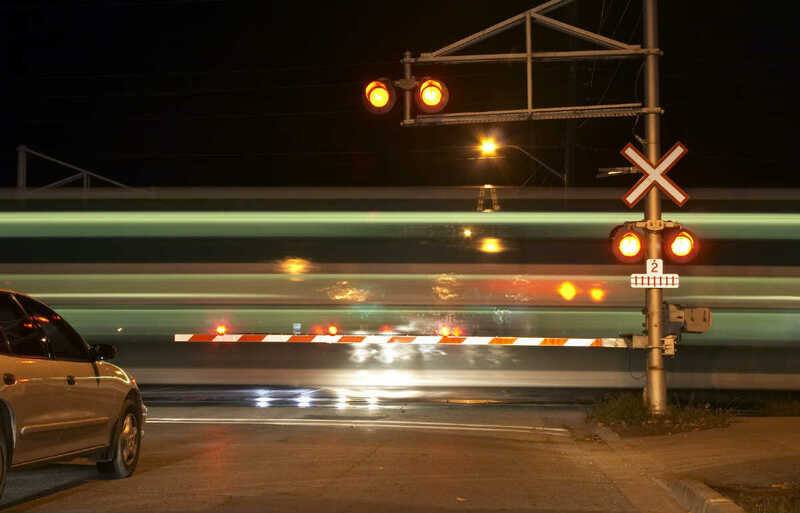 If a dangerous, unlit intersection was the scene of your accident, filing a lawsuit with the help of a Missouri personal injury attorney may not only help you receive compensation, it could help compel the railroad company to consider making the intersection safer for others. Besides a lack of crossing lights and gates, accidents can also occur if the crossing has become obstructed with overgrown vegetation. It is the railroad’s responsibility to keep their intersections clear. It is also their duty to make sure that the field of view is not obstructed, both for someone at the intersection and the driver of the train. Trying to claim compensation from major companies like those of railroad operations requires a skilled Missouri personal injury attorney. With the amount of money they have to back them, it is not unusual to find them attempting to stall proceedings in a veiled attempt to get you to drop the suit or settle for less. An attorney is aware of these tactics and will not let them deter your case. A Missouri driver was able to settle with a railroad company whose initial defense was to blame the victim for the railroad intersection accident. When the plaintiff was able to prove that the driver of the train was negligent in failing to use the lights and horn when approaching the intersection. Once it was shown that several accidents had occurred at that particular spot, the defense abandoned the strategy and agreed to the settlement. Specialized legal knowledge is necessary when dealing with the complexities of a lawsuit with a major railroad. If you were injured in a railroad crossing accident or have lost a loved one due to the negligence of another person, you have every right to seek compensation. Discuss the details of your case with our Missouri personal injury attorney. Call The Hoffmann Law Firm, L.L.C. at (314) 361-4242 for a free consultation.